Congratulations to David White on his first solo flight! James Bast – Commercial Pilot! 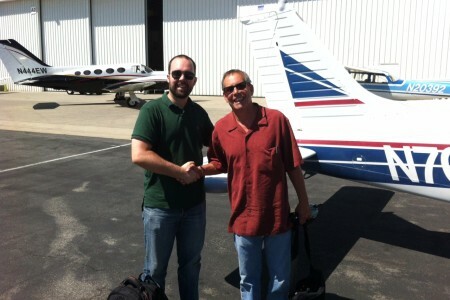 Congratulations to James Bast a successful check ride for the Commercial Pilot Certificate! IMAGE L-R James Bast, Examiner Mark Boss. Dave Keil – Private Pilot! Congratulations to Dave Keil on a successful check ride for the Private Pilot Certificate!